I grew up in a lower middle class family living in South Tacoma. My dad was a welder. My mom was a nurse. I have a brother, two years younger than me. Occasionally we would go to Chuck E. Cheese’s and eat pizza and play video games or sometimes Godfather’s Pizza or even Pizza N’ Pipes (more on that later). But more often than not, when we went ‘out’ to eat, it meant going to any given fast food place, ordering at the drive-through and parking on the waterfront down on Schuster Parkway and eating in the car as we looked out on the waterfront. In the water there were these pylons in the water where some structure once stood. My parents told me there used to be a restaurant shaped like a boat here called The Top of The Ocean. 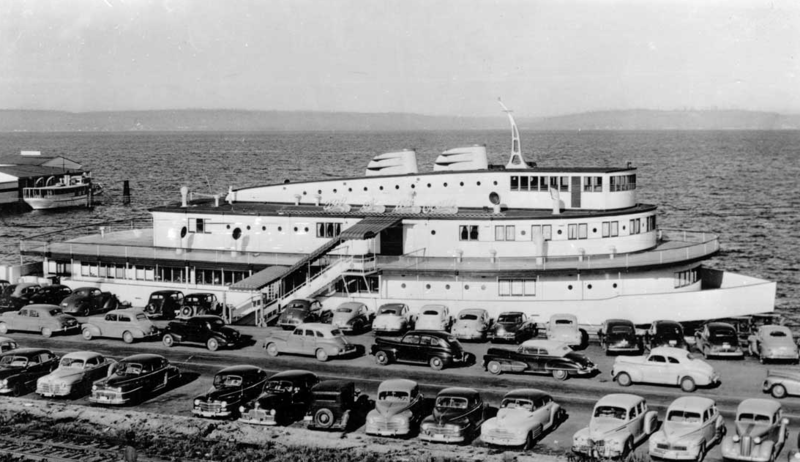 The Top of the Ocean Restaurant (pictured below) opened on December 15, 1946. With incredible food, a great view, and top notch entertainment, The Top of the Ocean was a good place for a romantic dinner or a formal party. Masons, Rotary Clubs, and business leaders made it a point to use the Top of the Ocean anytime they wanted an impressive celebration. 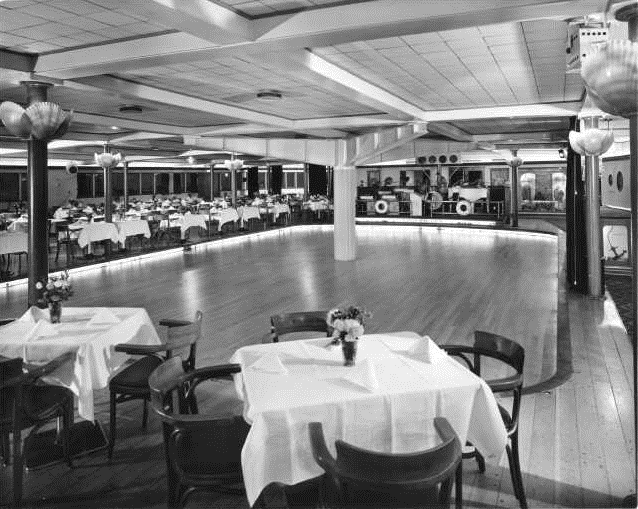 In the fifties the Top of the Ocean was arguably the best restaurant in Tacoma. It wasn’t uncommon to have difficulty finding a parking space. Any given night you’d hear live music coming from inside and a lively time being had by all. By 1976 the Top of the Ocean had seen better days. Over the years many more waterfront restaurants had popped up (though none with the style of the Top). The Top of the World was then sold to Mark and Dave Mitchell. In 1977 Tacoma lost another landmark when the Top of the World Restaurant burned to the waterline, leaving only pylons. It was found that this fire was one of a string of arsons that took place in the late 70’s under suspicious circumstances.